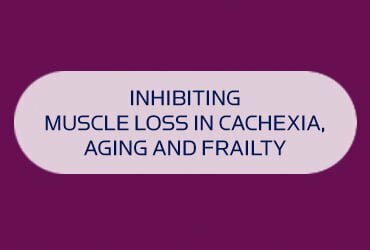 Cachexia is the loss of muscle that accompanies many acute and chronic diseases; and represents a key predictor of clinical outcome in the intensive care setting. Dr Paul Kemp of National Heart and Lung Institute, Imperial College of Science and Technology, has recently discovered the role of the miRNA-542/424 cluster in driving muscle catabolism and his ongoing research continues to build the mechanistic molecular understanding of how these miRNAs target cellular processes to drive muscle loss and cachexia. Apollo is collaborating with Dr Kemp to investigate the therapeutic potential of AntagomiRs to block the action of miRNA-542/424 cluster and prevent cachexia for a variety of disease settings including acute emergency care and healthy ageing/ frailty.